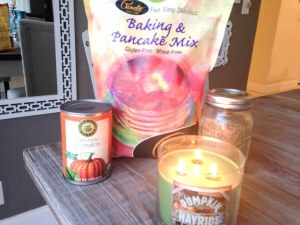 I’m ready for fall weather, fall baking and fall fashion… what about you? When I woke up this morning I decided I needed to start cooking with pumpkin to get me in the spirit. 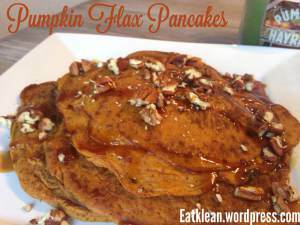 🙂 Probably my two favorite things are pumpkin flavored anything, and pancakes… so I knew this would be a hit! Plus, they won’t make you feel bloated, guilty or yucky after you eat them…. like the ones at Pancake House would. They use bleached flour, and a load of junk to make their pancakes. These are simple, KLEAN, and delicious.